This project will develop multifunctional and multiscale numerical models of hierarchical structured composite materials at the micro-, meso- and macroscale. It will use software algorithms to encompass material and structural characteristics such as the mechanical and damping properties or heat and mass transport. This includes scale- and material-dependent damage mechanisms and, in future, a potential way of minimizing such failures. The simulation offers design rules that simplify certain construction procedures and will enforce the development of highly evolved materials for architectural purposes. In this project, relevant principles of biological materials for multifunctional simulations of complex biological and biomimetic designs and materials will be derived. Starting from easily accessible single parameters an increasingly complex numerical model will be established in consecutive workpackages (WP). In the process of reverse biomimetics, the results of the simulations will facilitate a better quantitative understanding of form-structure-function-relationships of the biological concept generators (BCGs). Biological materials are complex and structured hierarchically. Nature succeeds in optimizing several criteria, because a simultaneous fulfilment is crucial for survival. At present, numerical models of such materials only cover few selected parameters such as strength and weight. In this project, new methodologies for novel materials and components for architecture with multifunctional simulations of complex biological and biomimetic design will be developed. New material classes are expected to arise. – Models will be derived from the analysis of selected BCGs like sea urchin spine, fruit peels, seed coats, bark and wood. – Multiscale and multifunctional modelling of natural material behaviour with a consistent numerical model. – Improvement and integration of multiple numerical models for the description of materials regarding simultaneous fulfilment of more than one physical influence to achieve optimal mass and heat transport, high strength, damping properties and low weight. 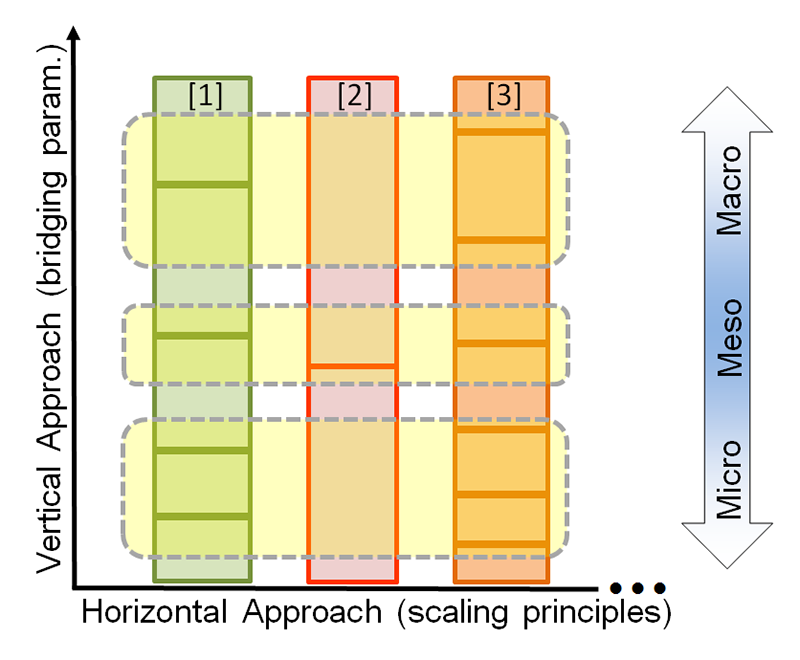 – Numerical description of complex hierarchical materials at various scales and a transfer to technical applications. – Derivation of simple design rules and, in future phases, production of a demonstrator and recommendations for chosen application parameter settings in the numerical model. 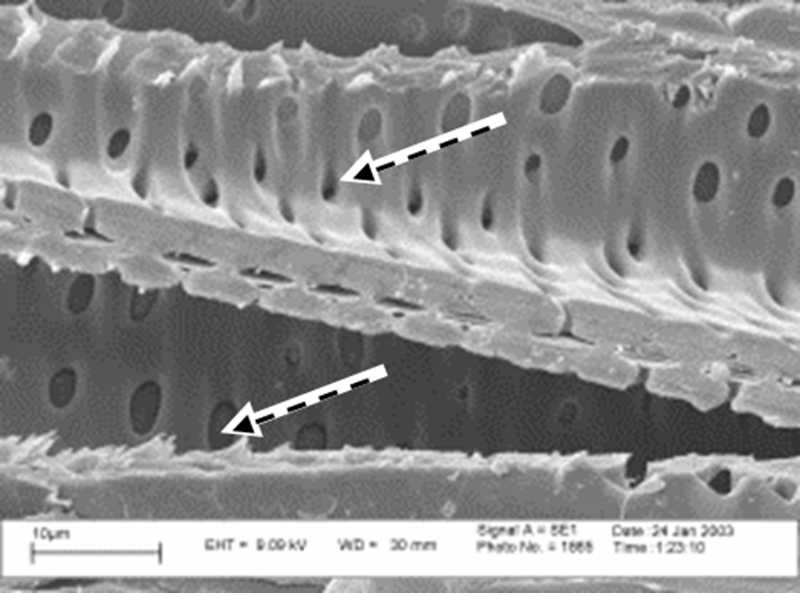 – Analysis of the structural and microstructural setup of natural biological concept generators from microscale (µm) via mesoscale to macroscale (cm to m). – Based on standard FEM, multiscale simulation tools will be improved and/or developed from available software packages. Typically, metallic structures are simulated by using numerical software. Clutch between Macro Meso and Micro scale. Left: tensile test specimen. 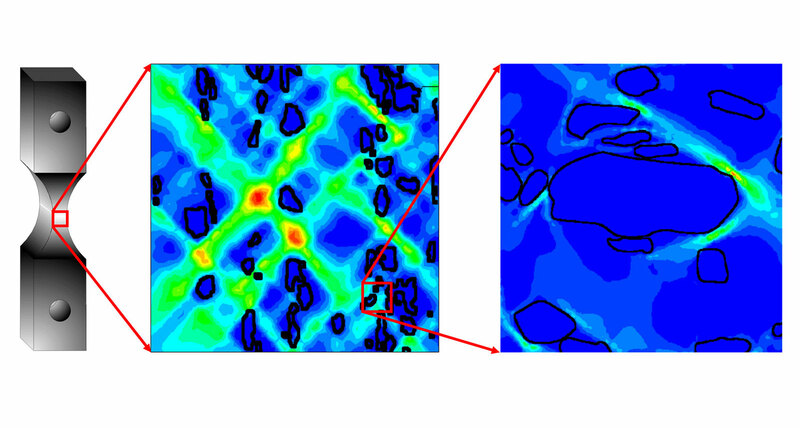 Middle: Metal Matrix Composite (MMC), Right: Strain distribution of a reinforced composite material. Laurel wood, cross section and longitudinal section. 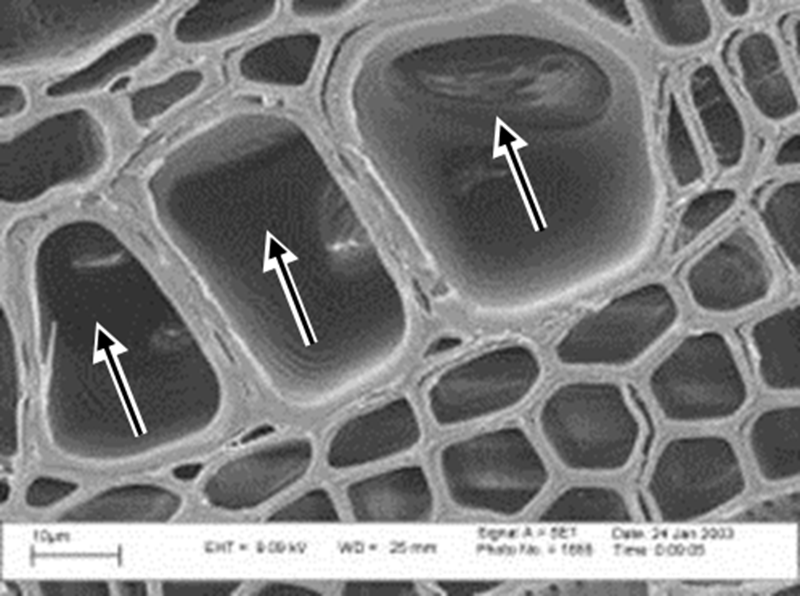 The plant exhibits transport systems at various scales: vessels (=plant conduits, arrows) for volume exchange (macro-level), porous capillary walls (dashed arrows) providing cross-flow (meso-level), together with nano-structured porosity (micro-level) of material located within the wall pores (©A. Nebelsick 2003).